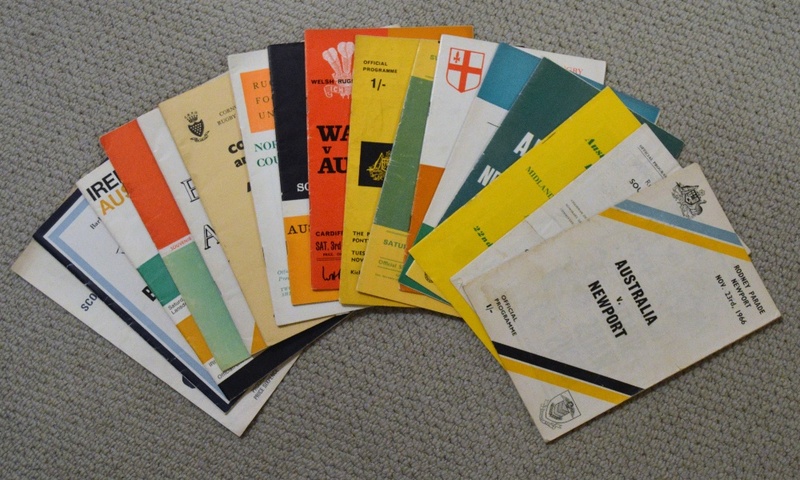 Australian Wallabies Rugby Tour Programmes from 1966-1968 (17): 66-7 v Southern Counties Oxford, lacking cover), Newport, Midland Counties East (Leicester), Neath/ Aberavon, Cardiff, London Counties (Twickenham), Swansea, Pontypool & Cross Keys, Wales (Cardiff), Scotland (Murrayfield), NW Counties (White City, Manchester), Cornwall & Devon (Camborne), England (Twickenham), Llanelli, Ireland and the Barbarians (Cardiff). 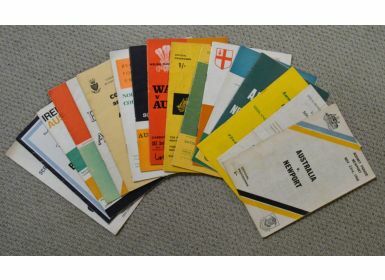 1968: Scottish Districts (Glasgow). Mostly G/VG.